In a recent Monday Night Football game against the hated Bears, Green Bay Packer star Aaron Rodgers went down with down with a game ending injury. The second-string quarterback was Seneca Wallace who was at best an NFL journeyman with at best a checkered career. Needless to say the Packer’s high-octane offense came to a grinding halt and the Packers lost a key divisional game. Seneca Wallace in this fan’s opinion was not a credible back-up plan, but rather a joke and an insult to loyal Packer fans everywhere. Regular readers of this blog know that I stress financial planning as a starting point for almost every financial endeavor you might undertake. Part of a sound financial plan involves planning for the curve balls that life sometimes throws at us. Here are some components of a solid back-up financial plan. This represents very liquid savings that are set-aside for emergencies such as job-loss, the need to replace your furnace on the coldest day of the year, unforeseen medical expenses, and other unexpected events that have a way of popping up in life. This is not money that is invested in stocks or mutual funds, but rather in a money market fund or a similar vehicle. Liquidity and little or no risk of loss are key. For example a CD that ties up your money for a period of time and assesses a penalty if you need it early is not a good vehicle for this money. The rule of thumb is 6-9 months of expenses, your actual need will vary and you should look at your own unique situation. If you don’t have enough right off the bat for an adequate emergency fund, accumulating this money should be a top savings priority. Regular readers of this blog know that I have a healthy skeptiscm of many insurance and insurance-based financial products and many of the folks who sell them. However insurance is a key component of a financial plan for most people. The key is finding a competent financial professional who will assess your needs and sell you the insurance product that is right for the risk that you need to insure. I assist my clients in finding and working with insurance professionals of this type. Life insurance is a basic component of a financial plan for many folks. Insurance replaces some or all of your future income for your family or other beneficiaries in the event of your death. It can help pay off the mortgage, send your kids to college, or fund the retirement for a surviving spouse if you haven’t had time to accumulate sufficient assets. Even in the case of a non-working spouse it can replace the “services” he or she provides in terms of child-care and the like. Life insurance can also be used as an exit strategy for a closely-held business or to offset the impact of losing a key employee. All too often life insurance is sold for purposes other than providing a death benefit. This is often in the form of some sort of policy that builds cash-value and for uses such as a supplemental retirement vehicle. For many folks inexpensive term insurance is the best deal, be very leery of a pitch for whole life, Variable Universal Life, and the myriad or other cash value policies out there. These are very lucrative for the agent, not always so for you. Disbility insurance is perhaps more important than life insurance in that it provides coverage for an event that is more likely to occur than death. This is “lifestyle” insurance and I generally urge folks who have access to it via the workplace to buy as much Long-Term disability insurance as possible. These policies are not always great in that their definition of disability and own occupation is often broad. Private policies will often have a narrower definition of your own occupation for purposes of paying a benefit, but these policies can be expensive. On the other hand I’ve seen several high earning professionals over the years become disabled and having proper disability insurance has been a financial life-saver for them and their families. Property and casualty and liability insurance comes in various forms and can help insure against all sorts of events that can occur on your property or in the course of doing business. These range from personal polcies such as umbrella coverage against the UPS guy falling and hurting himself while delivering a package to your home to having sufficient auto liability coverage for yourself and perhaps younger drivers using your vehicles. Professionals such as doctors, financial advisors, and lawyers need professional liability insurance to protect them. Details on these and other types of liability coverage (both personal and professional) are beyond the scope of this article, but they are none the less a key part of a back-up financial plan. One successful judgement against you or your business can bring financial ruin without proper insurance and asset protection planning. Long-Term care insurance provides coverage for long-term health problems that can plague us later in life. This might include a nursing home stay or home health care. This insurance is complicated and expensive. Whether or not buy Long-Term Care insurance, which features to buy, and many other decisions requires research and perhaps professional guidance. The reason to consider this type of coverage is that the cost of caring for a loved one with a long-term health situation can be staggering and can wipe out the finances of a family. Estate planning is all about ensuring that your assets pass to your desired beneficiaries in the manner that you intend. A will naming a guardian for minor children is a must for parents. Retirement plans and insurance and annuity products are passed on via a beneficiary designation so make sure these are up to date. A trust may or may not be in order depending upon your situation. An often overlooked factor are items such as a medical power of attorney and other similar documents that designate who can handle your affairs and/or make decisions for you in the event that you are incapacited. Few of us will have to worry about paying estate taxes, but these other issues can be huge and if not handled properly can cause major financial headaches for your family and loved ones. This is along the lines of “… the best defense is a good offense…” Saving and accumulating wealth and building financial independence represent the best financial contingency plan. Contribute to your 401(k) or similar retirement plan. Investing for retirement via salary deferral is painless and doesn’t require you to do anything except make an election to have the money withheld from you paycheck. Obviously you will want to make good 401(k) investment choices and you will certainly want to make good decisions with your 401(k) account when leaving a job. Starting a business or investing in one is another way to build wealth. Business ownership if managed properly can be a great way to accumulate and pass on wealth to your heirs. If you’ve saved and positioned yourself properly over the years you’ll be like several of my clients who couldn’t wait to receive a buyout offer from their employer so they could retire and/or otherwise move on with their lives. The items listed above are not meant to be an exhaustive list, but they do represent a good starting point to help you prevent a potential financial catastrophe. I want you to be better prepared then the Green Bay Packers were at quarterback. Please contact me at 847-506-9827 for a complimentary 30-minute consultation to discuss all of your financial planning and investing questions including your financial back-up plan. Check out our Financial Planning and Investment Advice for Individuals page to learn more about our services. As you might imagine there are innumerable financial planning software tools available to financial planners and individuals. Technology is a wonderful thing for our profession and more importantly for the clients we serve. To this financial planner, however, asking questions and the dialog this creates might be the most important financial planning tool of all. What prompted you to contact a financial planner? My main objective is uncovering their “pain point” or what is bothering them financially. The issue often surrounds their retirement readiness in the case of a pre-retiree or managing retirement withdrawals in the case of someone in retirement or on the cusp of retirement. Often this single question will get the prospective client to me all about his or her financial concerns. My preference is to do as much listening and as little taking as possible during this conversation. Understanding their spending needs in retirement. Understanding their vision of their retirement. These items are crucial to me in that I want to understand if this person has reasonable expectations as to the type of retirement lifestyle his or her financial resources will support. It is also vital to understand if this prospective client has realistic financial expectations in general. By this point we should both have a good feel if there is a potential match. 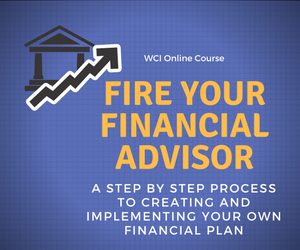 Am I a financial advisor in whom they have confidence and with whom they want to work to achieve their financial goals? On the flip side I also have to make a determination if this is a client to whom I can add value. Questions back and forth will have allowed both of us to make that determination. If I feel that I am not the right fit for an individual I will make every effort to refer them to another advisor that I feel would be a better fit for their situation. Statements or similar information for all retirement and investment accounts. Other signification assets such as real estate, an interest in a business, a potential inheritance, etc. Information about life insurance, disability, and long-term care policies as well as any annuities in force. Information about pensions and other retirement accounts not covered above. Information about the client’s employee benefits if they are working. A copy of their most recent tax return. Cash flow data if spending is an issue for the client. Any additional financial data that is relevant. The reasons for asking these questions and requesting this quantitative data I think are pretty obvious. How do envision spending your retirement years? Where do you envision living during retirement? Do you have parents that you will need to support? What does your monthly cash flow look like? Has anything changed in life? Do you have any major cash flow needs over the next 12 months? This is only a sample of the types of questions that I ask clients on a regular basis. Of course not all of these questions are applicable to every client and for some clients the questions will be somewhat different. As you can see, the answers to these and other questions can carry significant financial ramifications for people. It is vital that I understand these types of issues as they concern my clients. If you are doing your own financial planning, it is critical that you step back from your own situation and ask yourself these questions and that you discuss them with your spouse or significant other if applicable. In my experience questions are among the most powerful financial planning tools available. Make sure that your financial advisor is asking the right questions of you or that you are asking the right questions of yourself. This is an update of Employee Benefits Open Enrollment – Make Good Choices which originally appeared on the blog on September 12, 2012. While it has never been a good practice to just “check the box” and to automatically go with the same benefit choices year-to-year, this is an especially risky practice as you enroll in your 2014 benefits this open enrollment season. All of the hoopla over ObamaCare and its impact on health insurance for those without coverage and for those with employer provided plans is front and center in the news media. The general trend across all employee benefit options is for companies to seek ways to reduce costs which often translates to reduced benefits. Clearly the trend here is less coverage for more money. Beyond this some companies are making some major changes in their coverage. As an example one major Chicago area company is setting up a private exchange for their employees. Another major corporation eliminated the option of spousal coverage for employees whose spouses have access to coverage elsewhere. Even in our case, if I had access to outside coverage and still wanted to be covered under my wife’s plan there would have been a monthly surcharge. The bottom line with health coverage is that you need to take a fresh look at the options offered for 2014 and align those with your family’s needs and usage to determine the best option for you at the best price. For example you might consider a high deductible plan with an HSA to save on premium costs. You may have the option to fund a Flexible Spending Account or a Health Savings Account. Both allow for the payment of medical expenses with pre-tax dollars. The FSA is a “use it or lose it” proposition, the HSA is not. Take a look at your spending patterns for health care and also look at your out-of-pocket expenditures from past years. Both accounts have their pros and cons so read up, ask your benefits people and decide if either of these options (if offered) are right for your situation. 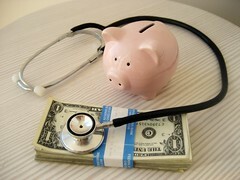 The HSA is typically only an option in conjunction with a high deductible health insurance plan. Company life insurance often can be competitive in terms of price and the death benefits offered, but this is not always the case. If you have a health condition that might preclude you from buying life insurance outside the company this coverage can be crucial. I often suggest to clients to look outside the company for coverage while they are in good health so that they will have the death benefit they need should they leave their current employer, regardless of any change in their future health status. Many plans offer some amount of life insurance (such as 1 times your salary) for free; additional coverage may carry a charge. If you have health issues that might make it difficult or impossible to obtain an outside policy you will want to check out the conversion rules on this coverage should you leave the company at some point in the future. I generally suggest that you take advantage of any disability coverage offered and that you buy any extra benefit that is available to you. Disability coverage is “lifestyle” insurance. There is usually a short-term component and a long-term component. The long-term portion generally covers 60 percent of your base salary, though coverage can vary. If you receive a substantial bonus or compensation or other sorts of compensation beyond your base salary you might want to consider looking into a supplemental disability policy from an outside insurance carrier as this compensation might not be covered under the disability insurance offered via your employer. Enrollment in your company’s 401(k) plan is generally not limited to the annual open enrollment period, but this is often the time that companies will announce changes to their plan. These changes might include new investment options, a change in the matching formula, and others. This is a good time for you to look at increasing your salary deferral if you are not already contributing the maximum and to take a look at your investment allocation. We generally take dental and vision insurance. Beyond that you really need to look carefully at benefits offered such as accidental death and dismemberment insurance (AD&D), cancer insurance, and other supplemental coverages. A heath insurance agent put it quite well in saying to me that coverages with low premiums generally indicate a low probability of loss. For example AD&D requires injury or death under specific parameters that many people will not incur, hence the low cost. You choices should be based upon your situation and the type of job you perform. Depending upon your organization, you might also have access to benefits for transportation, parking, child care, deferred compensation (if you are at a high enough level in the organization), and many others. These are all potentially valuable options depending upon your needs. If you and your spouse both work look at both benefits packages and coordinate the best options between the two plans. Your employee benefits can add up to a significant percentage of your overall compensation. These benefits are potentially quite valuable to you and your family, take the time to review your available options in order to make the best choices for you and family. Especially in this year of drastic upheaval in health insurance and across the employee benefits landscape, don’t just let your selections default to your existing choices. Please contact me at 847-506-9827 for a complimentary 30-minute consultation to discuss your open enrollment options and to discuss all of your investing and financial planning questions. Check out our Financial Planning and Investment Advice for Individuals page to learn more about our services. Many companies offer employees a buyout package to encourage them to leave the company. This is generally done to encourage voluntary departures when the organization is looking to reduce headcount. These offers can cover employers across all levels of experience, but are often structured as early retirement packages geared to older workers. Over the years I’ve been asked by Baby Boomer clients and friends whether they should accept this offer from their company. Almost without exception I’ve encouraged these folks to take the money and run. Here are 4 reasons to accept your company’s buyout offer. If your company has identified you as somebody who might be a good candidate for a buyout offer this generally means you are on their list. In my experience I’ve invariably seen folks who have turned down the first offer finding themselves out of a job within a year or so. A number of years ago a friend called me to discuss a buyout offer he had received from his employer, Motorola. Given his age and the favorable terms of the buyout offer I strongly encourage him to take the package. He ended up not taking the offer and stayed with the company for a bit over a year afterwards. Sadly he was let go and the financial terms of his separation were not nearly as favorable as they would have been had he taken the initial buyout. Every situation is different, but I’ve seen buyout offers that included such incentives as extended medical coverage, years of service added to a pension calculation, and additional severance pay over and above what an employee would have been entitled to based upon their years of service. Additional incentives might include training and job search help. In many cases these buyouts can be incentives for older workers to take early retirement and the incentives are geared to areas like the ability to receive early pension payments. While most people don’t like the idea of losing their job, a generous buyout might be a great opportunity for you. If you will continue to work and you are able to find a new job quickly the buyout could serve as a nice financial bonus for you. This situation might also serve as an opportunity to start your own business. If you were looking to retire in the near future this could be just the opportunity you were looking for. I’ve had more than one client over the years joyously accept their company’s early retirement incentive. Your current financial situation, what impact will this have on my overall financial plan and my goals such as retirement and sending my kids to college? If you will stay in the workforce what are your employment prospects? How good are the incentives being offered? Can you or should you try to negotiate a better package? Corporate buyouts and early retirement packages are clearly here to stay. If you are a corporate employee, especially one in the Baby Boomer or the Gen X age range, you should give some thought to what you would do if this situation were to present itself. Were you offered a buyout or early retirement package? Do you need some help evaluating it? Do you need an independent opinion on your investments and where you stand in terms of retirement? Check out my Financial Review/Second Opinion for Individuals service. Many of the calls that I receive are from folks in their 50s or 60s who are either within sight of retirement or already retired. Many of these callers are pretty well-prepared for retirement and are seeking my help to fine-tune their situation and/or to help them through this next phase of life. This type of financial readiness doesn’t just happen it takes planning and preparation. Here are 5 essential financial planning steps for those of you in your 30s and 40s to help you reach your retirement goals and more importantly to help you achieve financial independence. If for whatever reason you haven’t done much of anything to ensure your financial future it’s time to get going. Today is the best day to get started, tomorrow is the second best day, and so on. If you are in your 30s or 40s and haven’t begun to save for your retirement, if you have a family and don’t have a basic will or any life insurance, if you have debt or spending issues it’s time to get started on a path to secure your financial future. I can’t tell you how many phone calls I’ve received from a 30 or 40 something professional (always a male) with young kids and a stay at home spouse. Typically the caller is all excited about investing or perhaps about buying income property. Both are great ideas. However when I ask whether he has any life insurance in place or even a basic will naming a guardian for his young children the answer is something like “… we’ve talked about that…” My response is to implore him to stop talking about it and get it done. I generally follow-up the phone call with a list of estate planning attorneys for them to consider. My point is this, if you are in your 30s or 40s and have a family you need to ensure their financial security. Term life insurance is very cheap in this age range assuming that you are in good health. Until you’ve accumulated sufficient assets to provide for your family in the event of your death, life insurance is a great way to build an estate quickly. It is vital that parents of minor children at least have a will in place that names a legal guardian for their children in the event of their death. While we are on this subject make sure that all beneficiary designations on retirement accounts, annuities, and insurance policies are up to date and specify the correct beneficiary. There is no better way to say “I love you” to a spouse than to have you life insurance go to an ex-spouse or somebody else because you forgot to update the policy’s beneficiary designation. Even if you are single at the very least you will want to give some thought as to where your money and assets would go if you were to die and take the appropriate actions to ensure this would happen. Perhaps more importantly make sure that you have some disability insurance. This protects you in the event you are disabled and can’t work for a period of time or perhaps permanently. Both short and long-term disability coverage is a staple in many employee benefit packages. Take as much coverage as is offered, this type of coverage is relatively cheap. If you are self-employed or your plan doesn’t offer disability coverage look into a private policy or perhaps something offered via a professional association. Disability coverage is probably more vital in your 30s and 40s than life insurance. There is still time to accumulate assets for retirement. Time in fact is one of your greatest assets here. Contribute to your 401(k) or similar retirement plan. Contribute to an IRA. In many cases you may be starting a family or looking to fund college during these years. While there may be conflicting demands for your money, save as much as you can for retirement. As you get to your 50s, 60s, and beyond you’ll be glad you did. If you are single this is all the more reason to ramp up your retirement savings, assuming you never marry it’s all on you to save for a comfortable retirement. Many folks get serious about financial planning in their 50s and 60s as they approach retirement. There’s nothing wrong with this. However having a plan in place in your 30s or 40s gives you a head start. Are you on track to beat the odds in the “retirement gamble?” Better yet what will it take to help you achieve financial independence? Make sure the basics are covered. Get your spending in check and pay down your debts. If you haven’t done so already, adopt the basic fiscal habits needed to live within your means. If you work with a financial advisor become knowledgeable. Take an interest in your situation. This doesn’t mean that you need to be a financial expert, but a bit of knowledge combined with your own good common sense will help shield you from fraud or just plain bad advice. If your financial advisor recommends what seems to be costly, proprietary (to his/her employer) financial products trust your gut and look for advice elsewhere. My very biased view is that you should seek the help of a fee-only financial advisor. Check out NAPFA’s guide to help you in finding the right advisor for your needs. By this time you’ve likely worked for several employers. If you are like many people you haven’t paid as much attention to your old 401(k) accounts as you should have. This is a good stage of your life to do something with these old retirement accounts. Combine them into a consolidated IRA account. Roll them into your current employer’s plan. Do something with these accounts, don’t ignore this valuable retirement asset. There’s nothing wrong with allocating a portion of your investment assets to taking some”flyers” on a stock you like, or an ETF that invests in a hot sector of the market, play money in other words. The vast majority of you investments should be allocated in a fashion that dovetails with your financial plan. Have an allocation plan, stick with it, rebalance your holdings periodically, and adjust your allocation as you age or if your situation warrants. This investing plan should take into account all of your investments including IRAs, company retirement plans, taxable investments, and so on. If you are married this should include both of your accounts. For most people mutual funds and ETFs generally make the most sense. There is nothing wrong with individual stocks, but they require a level of expertise and research that most investors don’t have. The planning, saving, and investing that you do in your 30s and 40s will pay major dividends down the road, as you seek a comfortable retirement and financial independence. Don’t waste time, get started today. Don’t become part of the retirement savings crisis in the U.S.
Roger has kindly asked me to write another guest post for his blog. Earlier this summer my maiden effort here – Forget Retirement Seek Financial Independence – seemed to strike a chord so I thought I’d flesh out some of the thoughts there. When I Google the word retirement, I get 176 million hits. Surprisingly, financial independence gets a healthy 73.4 million hits. I’d have guessed the word Retirement would get ten times more hits, not just twice as many. There are still many more books about Retirement but books on Financial Independence seem to be on the rise. Google “financial independence books” and you’ll find several titles. Finally, findependence gets a mere 17,000 hits but that’s because it’s a neologism or invented word. Strangely, “Findependence Day” gets 347 million hits but that’s because Google interprets the search to include Independence. Narrow it down to just “Findependence” and it’s a more realistic 100,000 or so. No matter. So what exactly is the difference between the terms Retirement and Findependence? For starters, let’s link to an excellent essay that appeared last week entitled 7 Reasons Everyone Should Reach Financial Independence. These are all good points and the article certainly provides some food for thought. Some points are inherent in my own approach to Findependence; others I hadn’t explicitly considered. Here’s my own take on the seven points. This is certainly one of the key attributes of Findependence as I’ve always viewed it. If you’re not findependent then by definition you’re living paycheck to paycheck, which means that if you do lose your job, you’re at the mercy of those who dole out the rather minimal amounts of unemployment insurance – assuming you even qualify and can jump through all the hoops. This is the essence of my vision of Findependence. Even if you choose for the time being to remain employed, as I say in Findependence Day (the novel), you’re working because you CHOOSE to, not because you MUST (financially speaking). Of course, Findependence also makes it more likely that you can go out on your own as a consultant, freelance writer or speaker or entrepreneur: as with Point 1, you’ve established a steady stream of income that will be coming in whether or not your cultural or entrepreneurial ventures get off the ground in a reasonable amount of time. This is another aspect of Findependence I’ve noticed in my own career. In fact, I wrote the original edition of Findependence Day while I was a salaried staff writer at the Financial Post and wrote the revised all-American edition as a salaried employee in my current position, editor of MoneySense magazine. I’ve called this financial novel a “financial love story,” but I’m not sure I’d have gone out on such a limb if I were still paying off a mortgage and felt I had to cleave 100% to the company line. Findependence means you can put some capital at risk and you take a large chunk of time to develop a business idea or creative project you hope will ultimately generate financial returns in the future. This point reinforces the concept that Findependence and Retirement are NOT the same thing. You need findependence to retire but you can also have Findependence and choose NOT to retire in the traditional sense of the word (that is, gold watch at age 65, followed by endless rounds of golf, bridge and daytime television). Conversely, if you have NOT achieved Findependence, it’s madness to try to retire. Sure, and I’d add “Spend more time at whatever your passion is.” Hopefully we all feel passionate about the immediate members of our family. Spend more time being a painter, or musician, or stand-up comic, whatever your passion, you can be sure that a degree of Findependence will allow you to spend more time on your chosen activity. One way might be semi-retirement or phased retirement. If you’re findependent but still gainfully employed you may want to go down to a four-day week, thereby having three-day weekends that can be spent with your family. Assuming they themselves are still on the five-day week you could do the various chores on the Friday or Monday, freeing up the traditional two days of the weekend to focus on family. Please contact me with any thoughts or suggestions about anything you’ve read here at The Chicago Financial Planner. Please check out our Resources page for some additional links that might be beneficial to you. I want to wish all of you who celebrate a Merry Christmas and to everyone a happy and prosperous 2013. I also want to thank all of you for your readership and support. 401(k) Fee Disclosure and the American Funds was written on the heels of the initial fee disclosures for 401(k) participants mandated by new regulations this year. I used the multiple retirement plan share classes offered by the American Funds to illustrate the need for plan participants to understand these fee disclosures and the details of the funds offered in their plan’s lineup. Why Financial Planning is Important-An Illustration is based upon and excellent infographic offered by NAPFA a professional organization of fee-only financial advisors of which I am a member. The infographic does a great job of diagramming the need for financial planning and how the process works. The statistics are sobering and illustrate the need for many Americans to seek the help of a qualified financial planner. Target Date Funds-A Look Under the Hood looks at the composition of the “Big 3” Target Date Fund families: Vanguard, Fidelity, and T. Rowe Price. Together these three families control about 80% of the assets invested in Target Date Funds. Target Date Funds are a staple in 401(k) and similar retirement plans. They are frequently used as the default option for participants who don’t specify an investment choice. However, like any investment, it is important that you understand how these funds will be investing your money and if their approach is right for you. Again I want to thank you my readers for your support and for your readership. My question to you is how can I be of help? What questions are on your mind? Please use the contact form to let me know and I will do my best to answer them. Also please feel free to let me know what you like or don’t like about The Chicago Financial Planner. Your thoughts are important to me. We will continue to evolve the blog into 2013 and look for ways to offer you more information about financial planning, investments, retirement plans, and related topics. financial advisor is about the best “job” one could have and I feel fortunate to be able to share what I’ve learned over the years with you. Just as I often review the assumptions that I use in choosing investments to recommend to my clients, I thought it would be interesting to take a look back at a few of the prior posts on this blog and to update the underlying situations. 2010 The Year of the Fiduciary? I think this is the right way for all financial advisors to treat their clients; some very deep pockets in the financial services industry disagree. Is Your Financial Advisor Like a Replacement Ref? I wrote this on September 26th of this year two days after the infamous Monday night game where the replacement refs robbed my beloved Green Bay Packers on a blown call at the end of the game in Seattle. This was the game that brought the NFL referee lockout to an end. Since then the Packers have won 7 of their last 8 games and stand atop the NFC North, Seattle has also had a good season and stands a 8-5 and are in the playoff hunt. Nothing in this update about finance but I have been a lifelong NFL and Green Bay Packer fan. Since writing this shares of Facebook have risen to over $27 per share from just under $18 when I wrote this post in early September of this year. This is still far below the $38 IPO price in May, but the stock appears to be in the midst of a rally. Time will tell how the company fares as a publically traded entity. Groupon went public at $20 per share in late 2011. The stock currently sits around $4.25 per share almost the same price as when I wrote this post in September. Since then there has been some excitement as at least one hedge fund has purchased shares and the Board retained founder Andrew Mason as the company’s CEO amid speculation that they had considered replacing him. Lastly there were some rumors that Google, a former suitor, was once again interested in acquiring the company at what would be a bargain price compared to their last offer. I fail to understand the economics of the daily deal “industry” and view this IPO as nothing more than a payday for the founders and the investment bankers. That Nice Man at Church Wants to Sell Me a …. Since writing this post in January of 2011, Bernard Madoff remains in jail, one of his sons committed suicide by hanging himself in his apartment, and four years after Madoff’s arrest the trustee assigned to try to recover assets has recovered about half of the $17.5 billion that investors lost. In the interim another famous Ponzi schemer Alan Stanford has been convicted and imprisoned. Sadly financial fraud, including affinity fraud, is still rampant and all investors need to protect themselves. When I wrote this post in March the Colts had just waived Manning rather than pay him the $28 million due him at the time. Seemed like a reasonable bet at the time given that he was coming off of neck surgery and had missed the entire 2011 season. Peyton ended up in Denver and has the Broncos on the cusp of the playoffs with 10 wins as I write this. Meanwhile the Colts took Stanford’s Andrew Luck as the first overall pick in the draft and he has performed beyond expectations. He has the Colts in the playoff hunt after the team won only 2 games during 2011. Further the team has rallied in the face of adversity with their coach being forced off the sidelines to battle leukemia. Thankfully he is in remission. Overall a win-win for both teams, both teams are so far being rewarded for the investments they made in Manning and Luck. Just as with these blog posts, it’s a good idea to revisit your reasons for making financial and investment decisions to see if things panned out as you had thought at the time. This is not to second guess yourself, but rather to reexamine your assumptions to see if you need to adjust your decision making process in the future. As always please feel free to contact me with your financial planning questions. A fellow NAPFA fee-only financial advisor with whom I am a Facebook friend posted about the fact that this is her 9th presidential election. I am one ahead of her (she missed voting in the 1976 election by a few months), not surprising since I believe we are close in age and coincidently both have daughters who are seniors at Northwestern University. 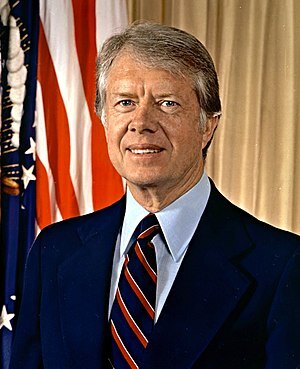 As I look back on these 9 elections, notable among the choices that I regret after the fact was my very first vote for Jimmy Carter. While a model ex-President, he is perhaps the worst President that I remember, and I vividly recall Richard Nixon as President. This is a financial blog, not a political blog. The connection with your personal finances is this. Over your lifetime you will make many financial choices. Some are thrust upon you and may be the lesser of two evils. Examples are choices made in the wake of a job loss or a serious medical situation. Choose to spend less than you earn. This is intuitive, but not always followed. This is the foundation of any serious financial planning. Choose to buy to less house than you might be able to afford. As we have seen stretching financially to purchase real estate is not always a great idea. Choose to contribute as much as you can to your 401(k) or other company retirement plan. If you’re self-employed, choose to start a retirement plan as soon as possible. Choose to invest in a fashion that balances your tolerance for risk but still allows for sufficient growth to achieve your financial goals. Choose to set realistic financial goals. To be clear, goals need to be quantified and have a time frame associated with them. Choose to track your progress toward meeting your financial goals on a regular basis and to make adjustments in your savings, investments, and your goals as needed. 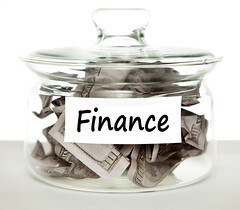 Choose to hire a competent professional financial advisor if you need help. Whoever you choose to vote for on Tuesday, over time you might remain convinced that you made the right choice or you might come to regret your choice. Over your lifetime your will have a number of financial choices to make. Be sure that your choices are informed and that they make sense both now and down the road. While a vote that you later regret is frustrating, poor choices with your money can haunt you for the rest of your life. Please feel free to contact me with your financial planning questions.